Scientists of the Higher School of Economics, Indiana University, and École normale supérieure have clarified how alcohol influences the dopamine and inhibitory cells in the midbrain that are involved in the reward system and the formation of dependency on addictive drugs. The results of the study were published in the article "Dynamical ventral tegmental area circuit mechanisms of alcohol-dependent dopamine release." Let's say you drink some coffee to get an energy boost. At the same moment, a burst of dopamine is released in your midbrain that acts as positive reinforcement of your action. Over time, the brain becomes conditioned to the stimulus and raises the dopamine level in advance—as soon as you simply smell the coffee or approach a coffee shop. This is how the body learns through reinforcement. The ventral tegmental area (VTA)—over 50 percent of which is composed of dopaminergic neurons—plays a decisive role in this process. The neurotransmitter dopamine is a biologically active chemical that transmits signals from one nerve cell to another. Dopamine acts on the brain's "motivation centre," eliciting either a sense of anticipation of pleasure from a particular action, or the pleasure sensation itself, when the pleasurable event occurs unexpectedly. But there is a particular link between dopamine and a number of addictive substances. In particular, alcohol directly affects the activity of dopamine nuclei and triggers the release of a burst of dopamine. This means that, regardless of how alcohol affects the rest of the body, the brain responds to it with positive reinforcement. The structure of the inhibitory network's activity—that is, how that activity arises and functions—determines the effect that GABA cells have on dopamine neurons. From 30 to 60 GABA cells in the VTA are connected to every dopamine cell. (This is generally true for GABA cells in the VTA, from outside the VTA this is a much larger number.) When all of those inhibitory cells function asynchronously, they inhibit dopamine activity. According to computational modelling, the reverse is also true: when inhibitory cells synchronize, the dopamine level increases. Researchers found that alcohol helps change the inhibitory network from an asynchronous to a synchronous state—that is, it ceases to inhibit dopamine and stimulates its release instead. 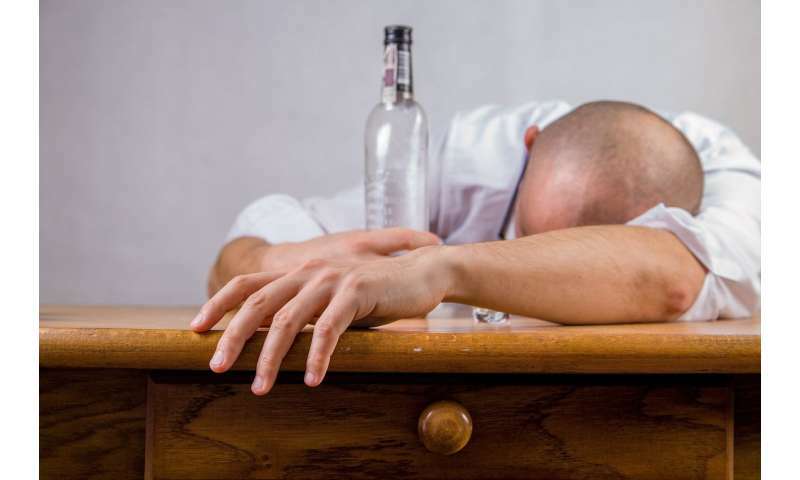 This discovery could help in the treatment of alcohol dependence. "Our model suggests that targeted pharmacological work with dopamine is possible," said Boris Gutkin, a co-author of the article and a leading research fellow with the HSE Centre for Cognition and Decision Making. "By blocking the synchronization of the inhibitory GABA network, we can influence the dopamine reactions alcohol causes."